An enamelling technique in which the outline of the subject is formed by thin flat metal wires set on the surface to be enamelled to form cells. These cells are filled with enamel and fired. 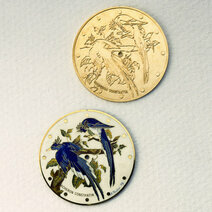 After polishing, the wires bring out the subject or pattern that is set in the enamel. 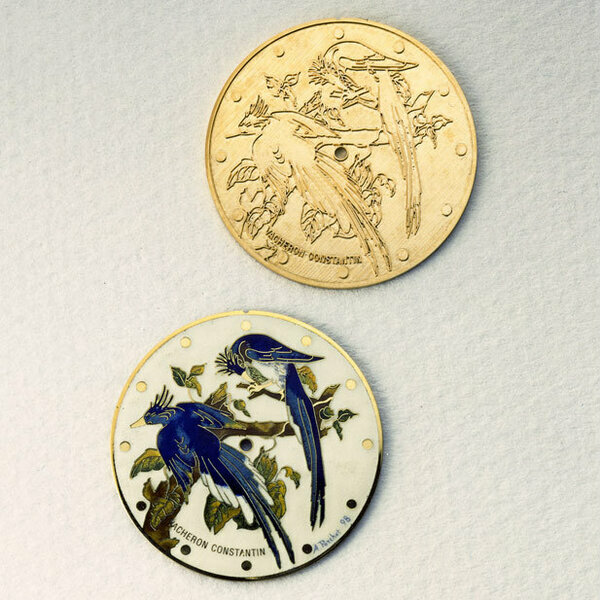 Cloisonné is used to describe both the technique and the end result. The tool used to wind the mainspring before inserting it in the barrel. Designed to withstand shocks without being damaged. See also shock absorber and Incabloc®.